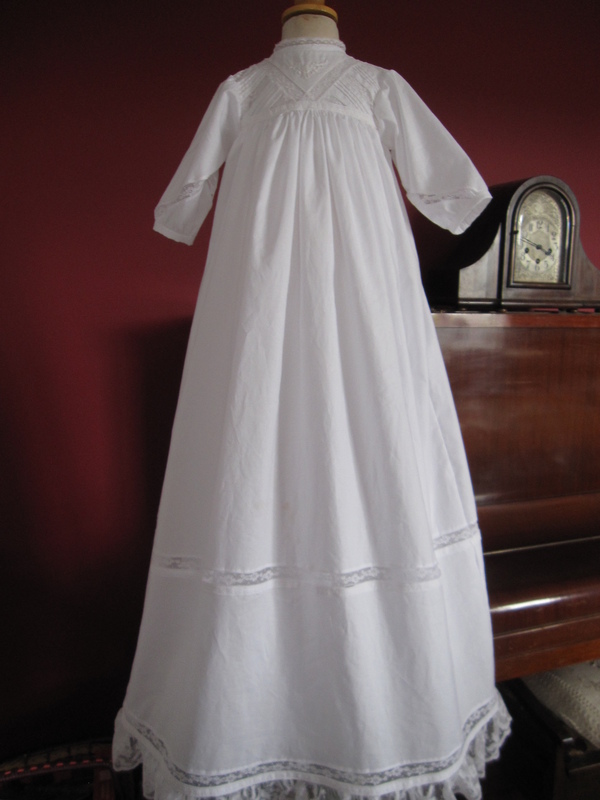 Are you seeeking a traditional designer Christening Gown this year? 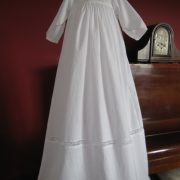 The Edwina baptism robe is a delightful reproduction Edwardian gown featuring the most delightful hand embroidery. 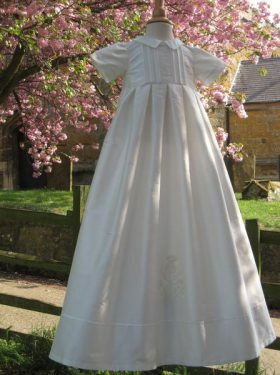 Pretty dainty flowers decorate the yoke and this is made even more stunning with the addition of tiny Swiss cotton lace detail. 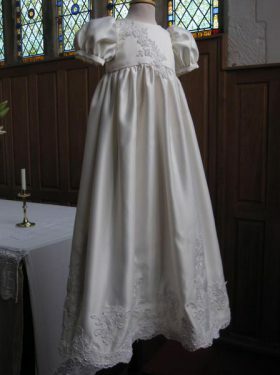 The skirt is typical of the Edwardian era, being plain until you get to the hemline where a deep frill edged in Swiss cotton lace balances the whole design perfectly. 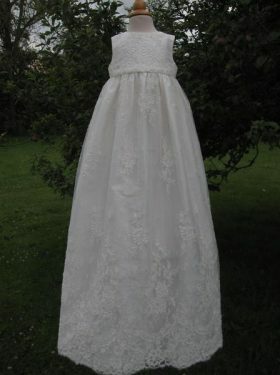 The gown fastens at the back with two drawstrings. 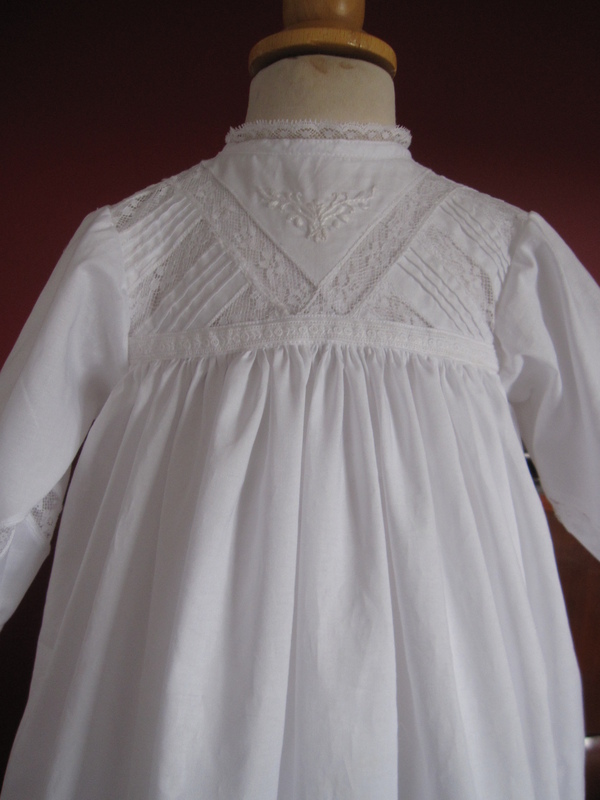 We have used an original Edwardian embroidery pattern for the yoke. Please contact us for details of other designs. Or, perhaps you have your own motif or crest that you wish to be embroidered onto your gown? 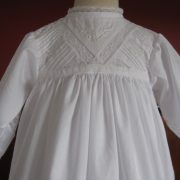 An Edwardian style petticoat to wear underneath is also available from Little Doves. 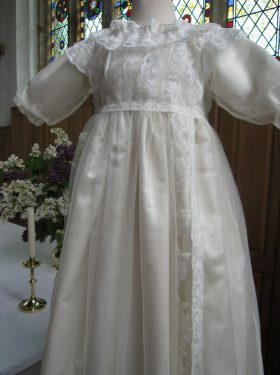 A delicate and pretty gown perfect for spring baptisms.